The Bark River and Joe Loui collaborative Ranch Hand fixed blade knife with black canvas micarta scales is a hard use knife ready for the trail, hunt or cattle drive. 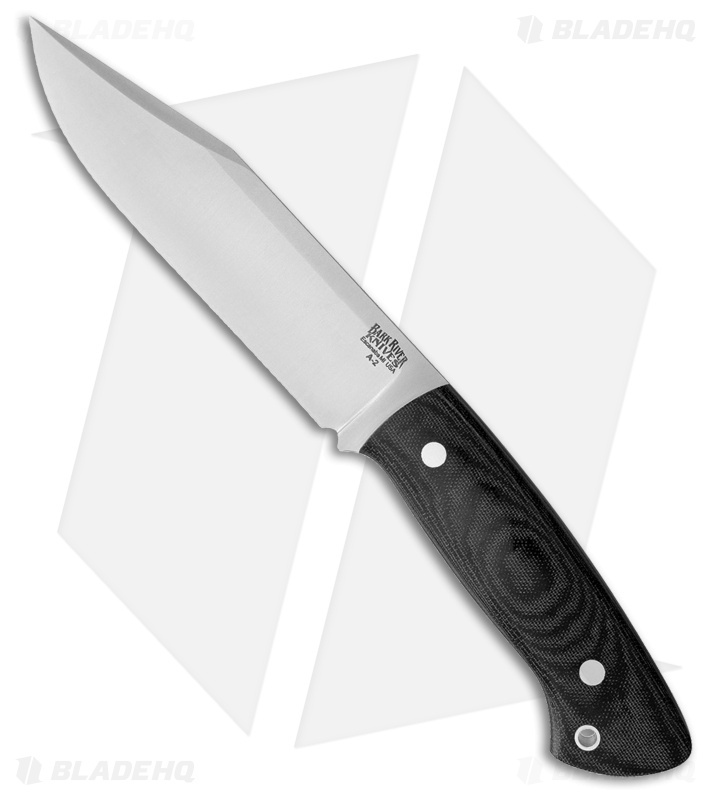 Tough and durable A2 tool steel is used for the full tang 5.5" clip point blade, featuring a precise tip and convex ground cutting edge. Black canvas micarta scales are rounded and contoured for a secure and comfortable in a variety of different grips. The integrated lanyard hole allows for quick location of the handle as well as provides additional leverage for some of those larger chopping tasks. Excellently well balanced, the 8 ounce weight is barely noticeable in hand or on your belt with the included hand made leather belt sheath. Ergonomic black canvas micarta handle scales offer lasting comfort.